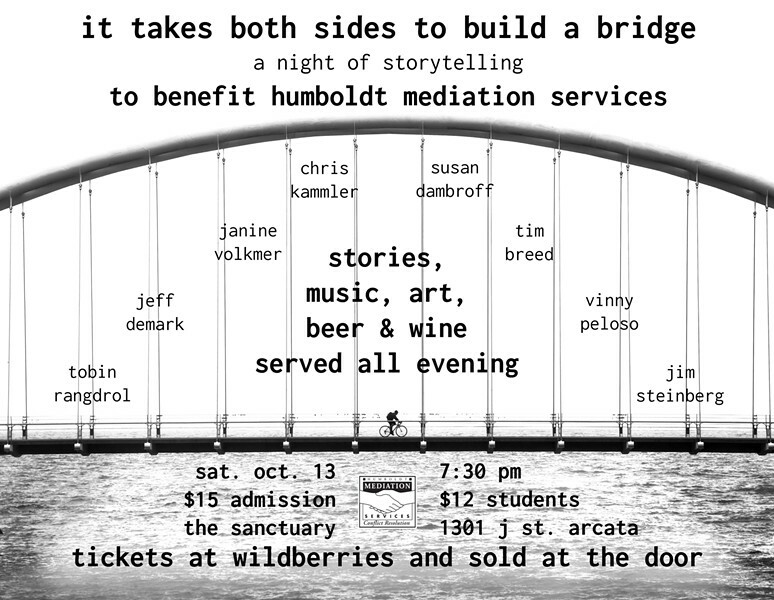 Humboldt Mediation Services hosts an evening of storytelling: It Takes both Sides to Build a Bridge. Jeff DeMark and his storytellers entertain over beer and wine. Art auction.